Complementary pet food for small breed adult and young dogs over 4 months. Feeding instructions: Small dogs, e.g. a Dachshund, feed 2 chews per week. 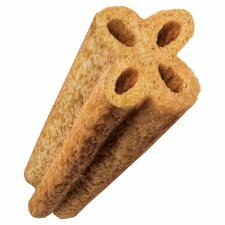 This is a chewy treat that is only suitable for dogs between 5 kg and 10 kg. It is not suitable for young puppies under 4 months. 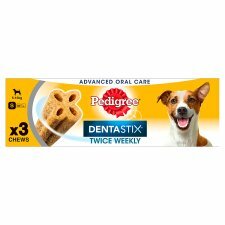 2 chews provide 11% of the weekly energy requirements of a 5 kg dog. Please reduce main meal accordingly. Use within 24hrs of opening. Fresh drinking water should always be available.